Replacement/Spare part. For use with the Grainfather Connect brewing system. • Material -SBR Foam (11mm thickness). • Designed for the Grainfather for heat insulation, especially in colder temperature areas. • Easy to wipe clean, polyurethane outer layer, and machine washable. 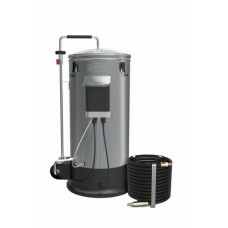 Turn your 20 L Grainfather into a 10 L version with the 10 L Micro Pipework. Perfect for brewing smaller test batches, or for those who simply need a way to get brewing sooner. 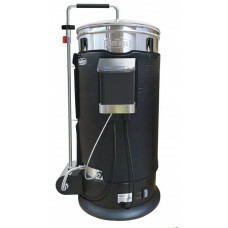 The 10 L Micro Pipework is perfect for brewing 10 L beers, or 20 L of a lower ABV strength beer.